Haywards Heath is a vibrant town with a great choice of homes. The town offers easy access to London (47 minutes by train), Gatwick airport and the South Coast. But there is much more to this West Sussex town than its great commuting links. Haywards Heath has grown to become a thriving community with excellent schooling, the acclaimed Princess Royal hospital, a busy social scene and leisure activities ranging from famous-name concerts to cricket and golf clubs. 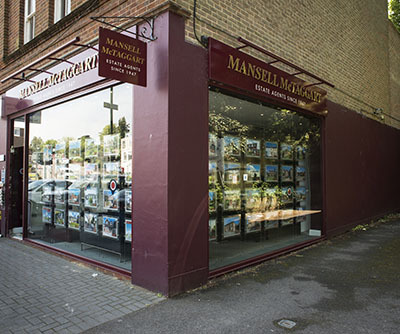 You will find Mansell McTaggart estate agents in Haywards Heath central to this vibrant town and we are here to support you in your quest to find the perfect new home, or help you market your current property. With access to the largest online property websites, coupled with exceptional in-house prepared materials, we offer you an effortless guide to your next move right through to completion. In the picturesque town of Haywards Heath, the Mansell McTaggart estate agency team are here to handle your every need. Through a trusted partnership with you, we will use our meticulous attention to detail to support your buying or selling journey. Enthusiastic and motivated, you can be confident that nothing is too much trouble for us as we work hard to match you to the ideal home or buyer you’ve been looking for. With our knowledge of Haywards Heath and the surrounding areas of RH16 and RH17, we go the extra mile to excel at our goal of impeccable customer service and stress-free completions. Search for houses for sale in Haywards Heath, flats for sale in Haywards Heath, land for sale in Haywards Heath or search all property for sale in Haywards Heath. Mansell McTaggart is one of the largest estate agents in Haywards Heath with a huge choice of properties in the local area. Buy or sell your house though Haywards Heath's premier estate agent. Receiving postitive feedback from clients saying that they have been happy with our service. No two days are the same! It’s about building relationships with our clients and giving them the very best customer service through to the very end.